In the recent times, Arthritis pain is frustrating many individuals. Nagging & crippling arthritis pain can continue to increase day after day. Understanding the nature of Arthritis disorder can actually give you the precise answers. Arthritis unavoidably impacts individual’s quality of life. The uneasiness caused due to the Arthritis leads to various difficulties such as fatigue, loss of sleep and depression. According to the study, the probability of arthritis is women are 20% is more when compared to men. With Arthritis treatment in Homeopathy, the pain can be minimized . Arthritis is most common disease, however is not well understood. In fact, “arthritis” is not a solitary disease; it is an informal term used to refer joint diseases and joint pains. There are over 100 different types of arthritis & related conditions. Individuals irrespective of their ages, races and sexes can also have arthritis, & it is the major cause of disability in the United States. Over 50 million adults as well as 300,000 children have some or other type of arthritis. Arthritis is common disease among women & it occurs frequently as individuals get older. Arthritis homeopathic treatment is the good remedy to overcome the disease . There are number of types of arthritis. The kind of arthritis ranges from those connected to wear and tear of cartilage like osteoarthritis to those related with swelling resulting from an intense immune system like rheumatoid arthritis. Together, the several types of arthritis structured to the most common chronic illness. Whatever might be the type, Arthritis homeopathy treatment provides a great relief. Alongside with undergoing Homeopathic treatment for muscle pain, follow few tips or tricks to get rid of Arthritis Pain. Use Cold and Hot Therapy. When it comes to arthritis pain, simple cold and hot treatments makes much difference. Long, warm baths or showers—particularly in the morning—assist in easing the stiffness in joints. Prefer to use an electric blanket or heating pad during night in order to keep the joints loose & use humid heating pads. The following are the other things you can do to manage arthritis pain. Arthritis treatment in Homeopathy helps in reducing joint swelling & symptoms subsuming swelling, pain and stiffness of joints. 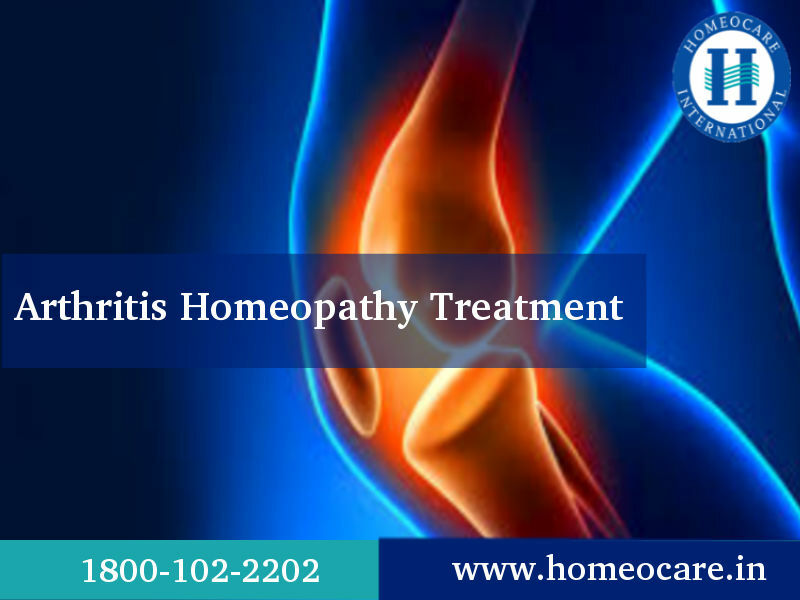 Homeopathy treatment for Arthritis offers a wide range of remides which are highly effective and treat the diseases with no side effects. Homeopathy treatment for arthritis is one of the popular holistic methods to treat the disease. The remedy is selected based on the individualization & symptoms. Homeopathic treatment for muscle pain is the good way through which better health can be regained by combatting all the symptoms and signs. Arthritis homeopathic treatment intends to treat arthritis and its cause and individual susceptibility. Homeocare International, is a top network of world-class premium Homeopathic clinics that offers advanced Homeopathic Treatment for patients who are suffering from various disease. With decades of excellence, rich experience & expertise in treating various diseases. At Homeocare International, latest advanced and sophisticated technology & software is used and effective treatment is provided to treat various diseases without any side effects. I have been dealing with rheumatoid arthritis. I started to have pain in my knee. I thought that it was just from working and standing all the time, but as it got worse I started to think it was something else. So I went to my doctors but no use, please suggest me how I can get relief from this. Excellent article, thank you for posting clear information about Arthritis.